Anthony Parnell, M.S.W. 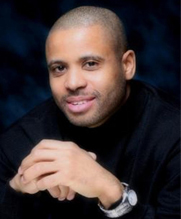 is the Executive Director and Co-Founder of the Fatherhood Support Network. He possesses twenty years of experience in the mental health and social services field as a therapist, social worker and director of community based programs. This is combined with more than a decade of executive management experience with oversight of hundreds of employees and multi-million dollar budgets. Additionally as a consultant, utilizing his expertise in strategic planning and executive management, he has been instrumental in supporting the financial and operational growth of a wide range of companies and organizations. Anthony Parnell is a graduate of the University of West Georgia and Clark Atlanta University’s Graduate School of Social Work. He has studied at the Universidad de Salamanca in Salamanca, Spain and has also served as an adjunct faculty member of the University of Southern California’s School of Social Work. As a published author of several books, Anthony Parnell is committed to using the power of words and his leadership abilities to heal, to inspire, and to strengthen individuals and communities. So many times more attention is given to problems than solutions. With the rate of father absenteeism in America having reached epidemic proportions, much of the spotlight has generally been on the “dead beat dads” who fail to live up to their responsibility. The Fatherhood Support Network and the book 24 Million, however, are about shifting more attention, energy, focus and resources to helping the millions of fathers in America who have been “alienated” and/or simply need support and resources in their efforts to maintain an active role in the lives of their children. Out of the millions of fathers in America who have been statistically categorized as “absentee,” there are countless fathers who didn’t easily fall to the wayside. They once were excited, eager and willing to make sacrifices on behalf of their children. But, somewhere along the way, as a result of one or more discouraging incidences, they gave up or were worn down. The Fatherhood Support Network wants to encourage, motivate and inspire fathers who are wavering in their commitment to remain committed to being in the lives of their children even when they are confronted with a court system that disregards or devalues their rights and their feelings. At the same time, we want to hold fathers to a higher standard in which they are reconditioned in their thought processes that just because they have unresolved conflicts with the mother of their children that this is not an excuse for giving up on their kids. Most importantly, we want fathers who are feeling weary, frustrated or “alienated” to know that there are hundreds of thousands if not millions of men in the United States and throughout the world, who have beat the odds. They have weathered the storm and are playing an active role in the lives of their children. Make a Financial Contribution (click here). Become a Fatherhood Mentor in your local community (click here). Become a Volunteer (click here). Adopt a Dad in your local community (click here). Attend “Dad’s Night Out” our annual fundraising event (click here). Participate in “Bowling for Dads” on Father’s Day at bowling centers all across the United States (www.BowlingforDads.com). Shop Amazon Smile (click here). Thank You for visiting our website, and “Thank You” for supporting fathers who are committed to maintaining an active role in the lives of their children.